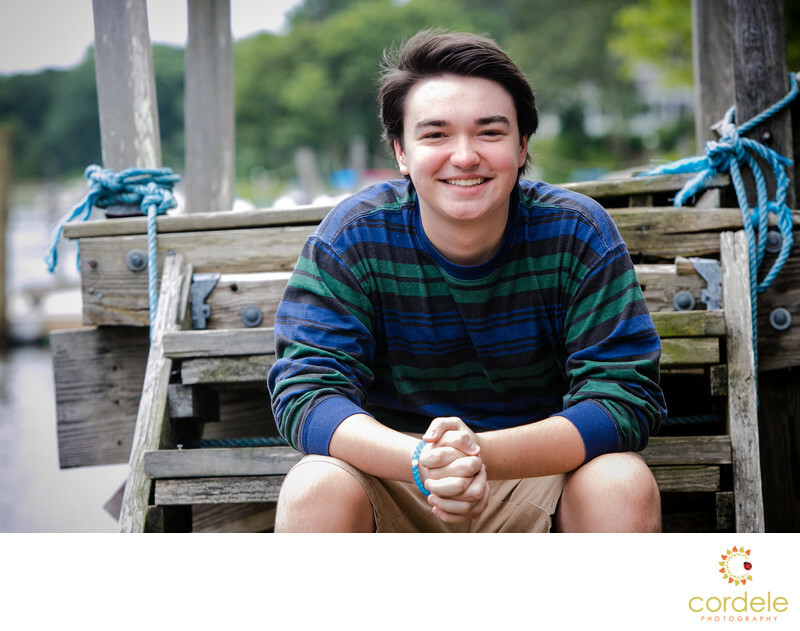 Senior portrait sessions in Massachusetts can take place anywhere, even the beach! This photo was taken along the Bass River in Yarmouth MA. You will have to check with your local yearbook staff whether you can have an outdoor photo placed in the yearbook. Sometimes high schools don't tell you that you can include a photo from another photographer. Most high school yearbooks are contracted with a company like Jonsten or Lifetouch, who produce the yearbook. We are well aware that our own town of Reading allows photos from outside photographers in Yearbooks. They don't advertise it because they get a small percentage back to the school. Location for Senior portraits can be anywhere you can imagine. I approach senior photography like a magazine shoot. I treat each senior like they are going on the cover of a magazine and find really cool locations. If you want to head to the beach on the North Shore for your senior portrait photos, we can hit Wingaersheek, or Good Harbor. There are also a couple hidden spots that I like that have ocean backgrounds. Location: Blue Rock Road, Yarmouth MA. Keywords: Senior Portrait Beach Sessions (3).